We have been involved in the preparation of the Gaia ESO-Survey long term project (5 years, FLAMES and UVES, 3000h), and that was born within the GREAT framework. This project (involving more than 250 scientists) aims to provide spectroscopic on-ground observations to complement Gaia data. Works in progress are: target selection for open clusters, complementary astrometric data for open clusters from the automatic meridian circles CTA in La Palma and CMASF in El Leoncito (Argentina), complementary photometric data from Stromgren photometry and their derived astrophysical parameters for NGC 6705, very rich middle age cluster, and NGC 2264, one of the best studied star forming regions in the solar vicinity and target fields to analyse the phase space distribution in the Galactic disk. This Open Clusters Chemical Abundances from Spanish Observatories (2013-2015) is a project in collaboration with the IAC, OABo (Italy) and OCA (France) aims to determine homogeneous abundances for more than 20 chemical species for red clump stars in a sample of 25 Northern open clusters older than 0.5 Gyr. These objects cover wide ranges of ages, metallicities, heights above the plane, and Galactocentric distances. The sample includes the oldest, the most metal-rich and a few anticentre Open Clusters which cannot be observed by Gaia-ESO survey (GES). We were awarded 5 nights per semester (2013 – 2015) in the telescopes FIES/NOT and HERMES/Mercator. These data will allow us to properly analyse the existence of trends in the Galactic disk. For the sake of homogeneity, we replicate the GES observational strategy and data analysis. This will allow us to double the total number of Open Clusters sampled by GES. The project plans to stablish unprecedented constraints on the mechanisms that drive the spiral arms of the Milky Way, carrying out a homogeneous photometric survey of all young (<100 Myr) open clusters in the Perseus Arm between Galactic longitudes 90º and 140º, using Strömgren filters. The plan is to derive relative ages and distances with typical accuracies of 5 Myr and 200 pc, respectively. The data will allow to test the predictions of different models for the main mechanism producing the spiral structure of the Milky Way. In addition, it will enormously improve our knowledge of stellar evolution for stars in the 6-15 M_sun range. Moreover, the huge data set of homogeneous photometry for thousands of stars (including ~2000 B-type stars) will have an enormous legacy value. The Berlin Exoplanet Search Telescope ( BEST ) is a ground-based photometric observation system to detect transit events of Jupiter-sized planets. We have contributed to the publication of the newly identified variable objects observed during an initial commissioning phase at the Thüringer Landessternwarte Tautenburg, Germany, and subsequent operations at the Observatoire de Haute-Provence (Pasternacki et al., 2011). We supported the pre-discovery observations of CoRoT-1b and CoRoT-2b with the BEST survey as reported in Rauer et al. (2010). Barcelona team was already involved in the Hipparcos mission (1989-1993), the predecessor of Gaia. The expertise gained with our participation in Hipparcos made us to be fully involved in the Gaia mission since early phases of the project. Hipparcos was the first space experiment devoted to precision astrometry, the accurate measurement of the positions of celestial objects on the sky. This permitted the accurate determination of proper motions and parallaxes of stars, allowing the determination of their distance and tangential velocity. The Hipparcos Catalogue, a high-precision catalogue of more than 118,200 stars, was published in 1997. The lower-precision Tycho Catalogue of more than a million stars was published at the same time, while the enhanced Tycho-2 Catalogue of 2.5 million stars was published in 2000. CoRoT (French: COnvection ROtation et Transits planétaires; English: COnvection ROtation and planetary Transits) is a space mission led by the French Space Agency (CNES) in conjunction with the European Space Agency (ESA) and other international partners. 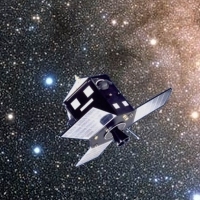 The mission’s two objectives are to search for extrasolar planets with short orbital periods, particularly those of large terrestrial size, and to perform asteroseismology by measuring solar-like oscillations in stars. Barcelona team was involved in the determination of astrophysical parameters of the stars in CoRoT fields through ground-base complementary observations in Stromgren photometry at the WFC-INT (La Palma). We collaborate in the exploration of the properties of newly discovered B-type pulsators in the CoRoT and its comparison with known members of the β Cep and slowly pulsating B star (SPB) classes. Our observations at WFC/INT help to find evidence for a new class of low-amplitude B-type pulsators between the SPB and δ Sct instability strips, with a very broad range of frequencies and low amplitudes, as well as several slowly pulsating B stars with residual excess power at frequencies typically a factor three above their expected g-mode frequencies (Damiani et al. 2010; Solokovsky et al, 2010; Degroete et al. 2009). PLATO 2.0 (PLAnetary Transits and Oscillations of stars) is a medium class (M class) mission studied in the framework of the ESA Cosmic Vision 2015-2025 program. The scientific goals of PLATO 2.0 are: reveal the interior of planets and stars; detect planets over the whole sky, including terrestrial planets in the habitable zone; constrain planet formation and evolution; provide accurate ages of planetary systems and provide targets for atmosphere spectroscopy. Large-scale simulations (all sky) in the directions of PLATO target fields were produced by our Gaia team by the end of 2010. This information is being used for several purposes, to elaborate the PLATO Red Book and to identify the mandatory parameters to be included in the Gaia intermediate catalogue(s) among others. During 2012 we had fruitful discussions with the EChO Spanish consortium to participate in this mission. EChO was selected as a candidate M3 mission in the ESA’s Cosmic Vision plan. Its objective is the characterization of exoplanetary atmospheres and the assessment study was developed during 2013. In spite of the small amount of data to be treated in comparison to Gaia, our team offered our expertise with data treatment and telemetry software, as well as producing simulations. 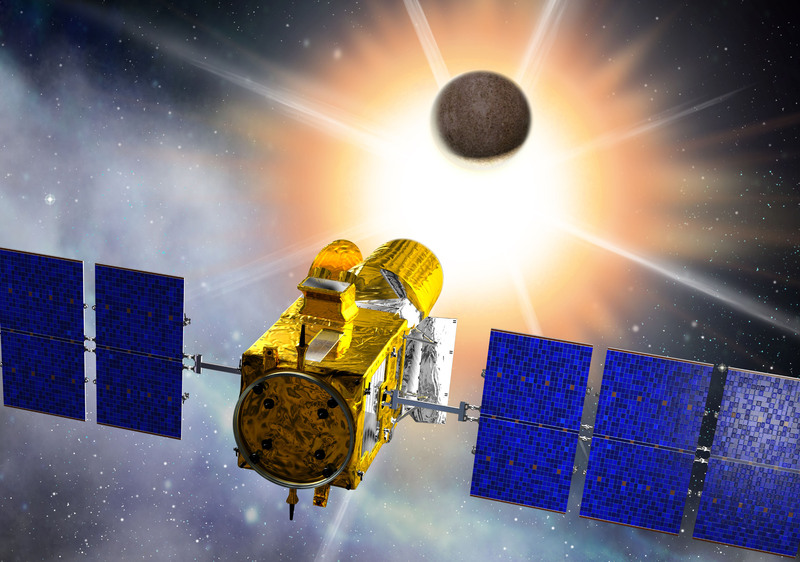 The main goal of NEAT (Nearby Earth Astrometric Telescope) space mission is to find habitable, Earth-like planets, around nearby, Sun-like stars. Exhaustively and precisely. We participated in the preparations of this project for the call for the M4 mission in ESA’s Cosmic Vision plan by providing data simulated by Gaia simulators for a double-blind detection test. This test aims to prove that the foreseen detection limits can be reached.